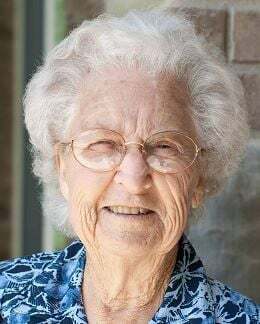 Betty Luella Walquist, 95 of Burley passed from this life to the next life at her home at Highland Estates, November 5, 2018. During her 95 years, she lived through some big things, like the Great Depression, World War II, drawing a homestead at Minidoka, raising a family, active involvement in 4-H and the Builders Club, and the rigors of being a farmer’s wife. From setting a siphon tube to growing a garden and canning, she found in each day a new challenge. She loved to work the spud harvest and providing a Thanksgiving end of season dinner for the crew. Betty Luella Walquist was born September 2, 1923 to Charles Lewis Walton and Mabel Irene Merrill in Rexburg, Idaho. She grew up in Rigby and later moved with her family to Idaho Falls.She met her husband, Vern Walquist, at a grange dance in York, near Idaho Falls. On December 24, 1942, Betty and Vern, and Dorothy (Vern’s sister) and Garth Balmforth were married in a double ceremony. In March 1963 that marriage was solemnized in the Idaho Falls Temple. Betty raised three children: Donna (Carl) Loveridge of Bountiful, Utah; Ralph (Brenda) Walquist of Paul, Idaho; and Nancy (Steve) Evans of Layton, Utah. She has 16 grandchildren and 39 great grandchildren. Later in life, she undertook the job of being a lunch cook at Acequia Elementary. Her rolls were an overwhelming favorite at family dinners. She was highly skilled in sewing, knitting, crocheting, and all kinds of hand work. In Heyburn, she and her husband, Vern, grew prize-winning gladiolas, and then shared them with people in the community. They enjoyed traveling together, seeing a large number of national parks, plus New Zealand and Australia. On many of those trips, the grandkids got to go too. She was an active member of The Church of Jesus Christ of Latter-day Saints throughout her life and loved serving in her ward and stake in many capacities: as both a ward and stake librarian, a Relief Society teacher in her ward, and later as a teacher in the Countryside Care Center. She tirelessly cared for her husband for years after he became ill. In her house, organization was a number one priority, and everything had a place and was in its place. She was preceded in her passing by both her parents, her husband, Vern, all three of her brothers (Clyde Walton, Ronnie Walton and Larry Walton), and three grandchildren. We would like to thank Highland Estates and the staff for all the loving care they have given her over the years. Also, we would like to thank Auburn Crest for the hospice care given the last few days of her life. Funeral services will be held 11:00 a.m. Saturday November 10, 2018 at the Heyburn LDS 2nd Ward. Viewing for family and friends will be held one hour prior to the service at the church. 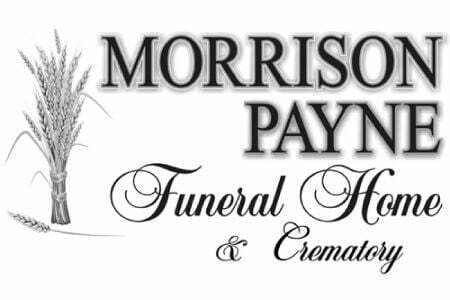 Services will conclude with burial in the Riverside Cemetery under the direction of Morrison Payne Funeral Home.